This pen is lovingly used with light micro-scratches on the silver. But in all in fantastic condition. 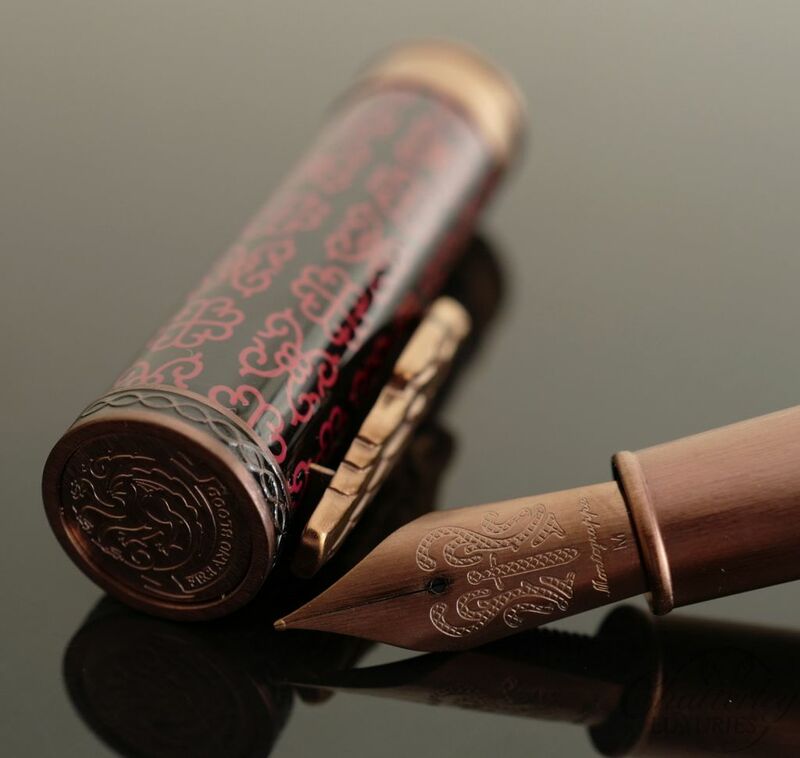 The pen comes with a small Montegrappa box. It has a Medium nib. Inspired by a model from the thirties, Extra 1930 was designed for people who love classic design and original colours and decorations. A manifestation of Montegrappa values, Extra 1930 combines the innovation of state-of-the-art technical solutions with the tradition of its aesthetic precious metal, the colours of the quality celluloid chosen for Extra 1930 were inspired by models from the Montegrappa museum. 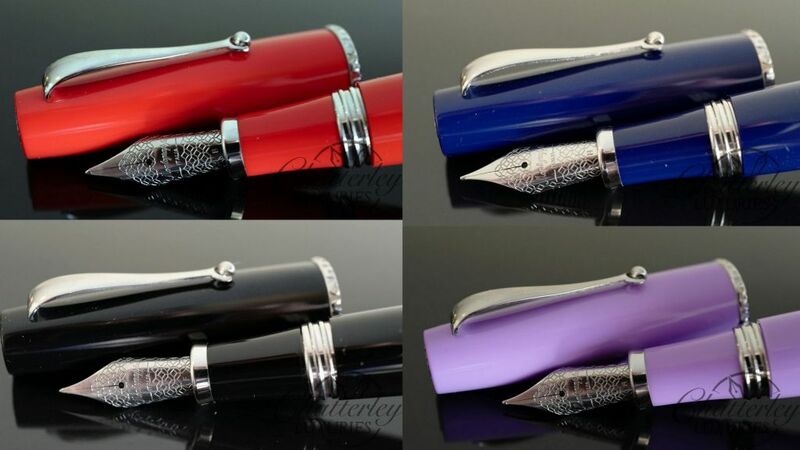 Montegrappa introduces a terrific line made for lovers of fountain pen writing. 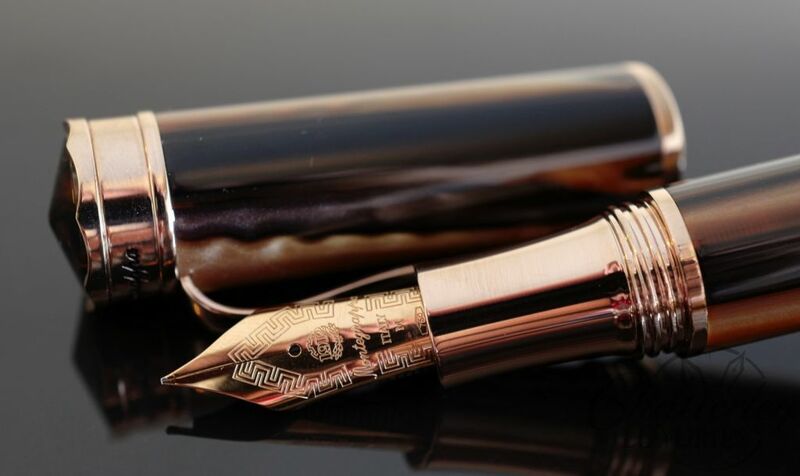 The new Extra is named such because of its oversized 18kt gold nib. This unusual size allows the Extra to have a unique flexibility and a generous ink flow. Crafted in celluloid, with gold accents, the Extra possesses all the qualities to become a classic. 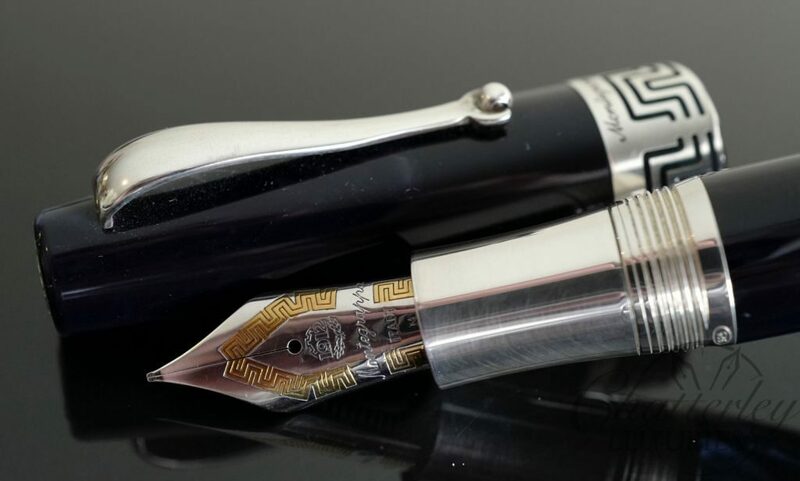 The Extra fountain pen features a built-in piston filling system.